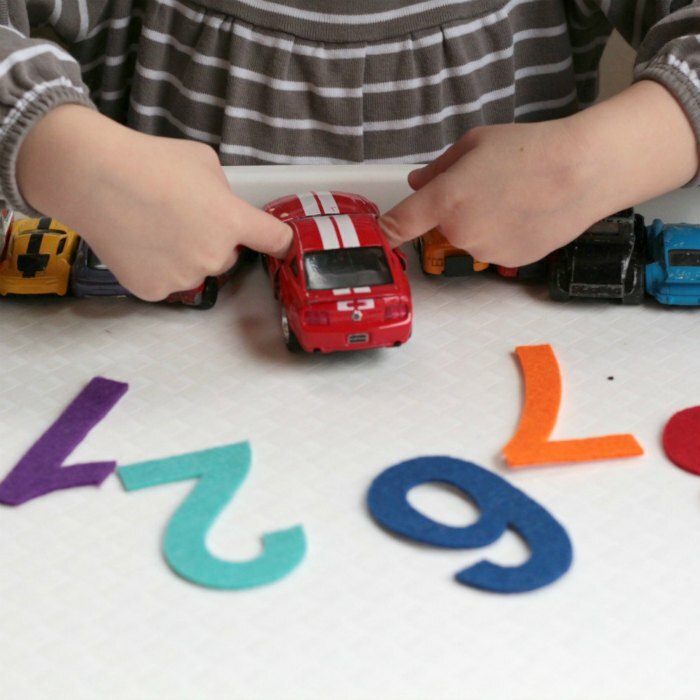 Learning to count with cars is a sneaky and fun way to get your kids counting. My kids are big fans of their cars. They will sit and play on the floor with cars all afternoon. They are not as interested in learning basic academics, like counting and letters. My preschooler, in particular, could do without any sort of learning. Yet, I want them to learn and be as prepared for Kindergarten as I can make them. 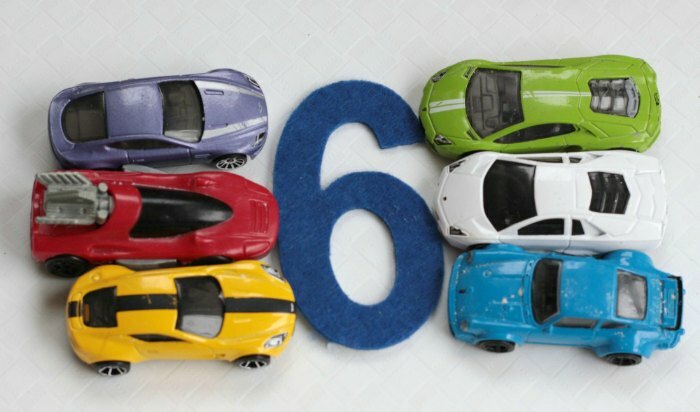 So, I found a sneaky way to combine counting and playing with cars…. counting with cars! 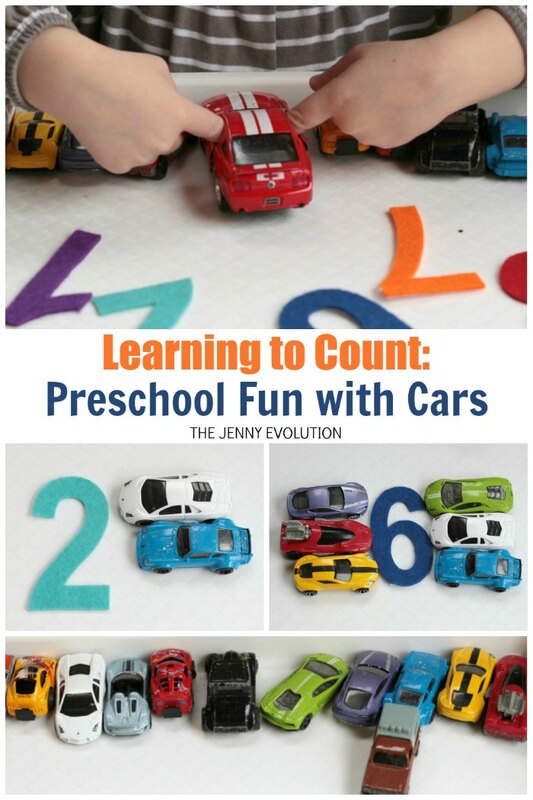 Follow these steps to set up your own counting with cars activity. First, get out as many cars as you want to count with. We’re still working on counting to 10, so that’s how many cars I got out. 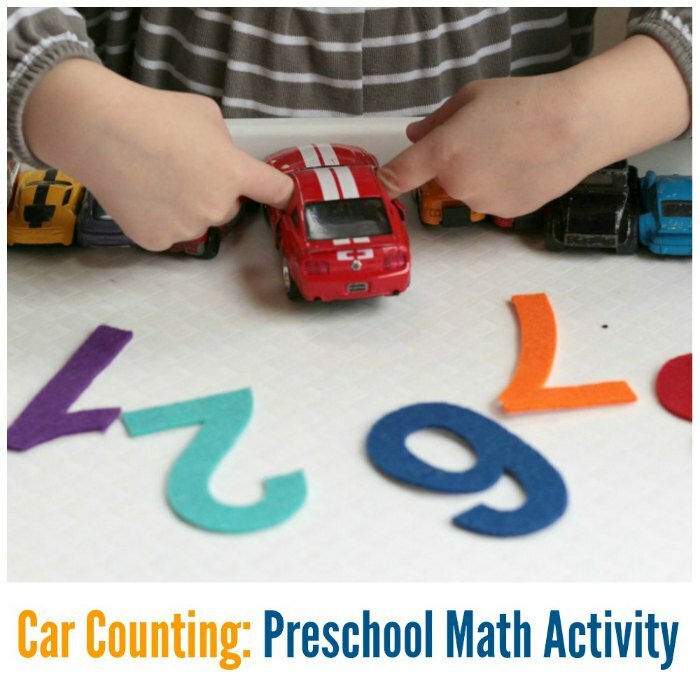 But if your kids are ready to count to 20 or even 100, this activity will also work for that. My preschooler lined up the cars all in a row. For some reason, that was an exciting activity. The tray kept the cars from rolling out of line. Next, I challenged my preschooler to find one car. I had my preschooler drive one of the cars to the felt number one. 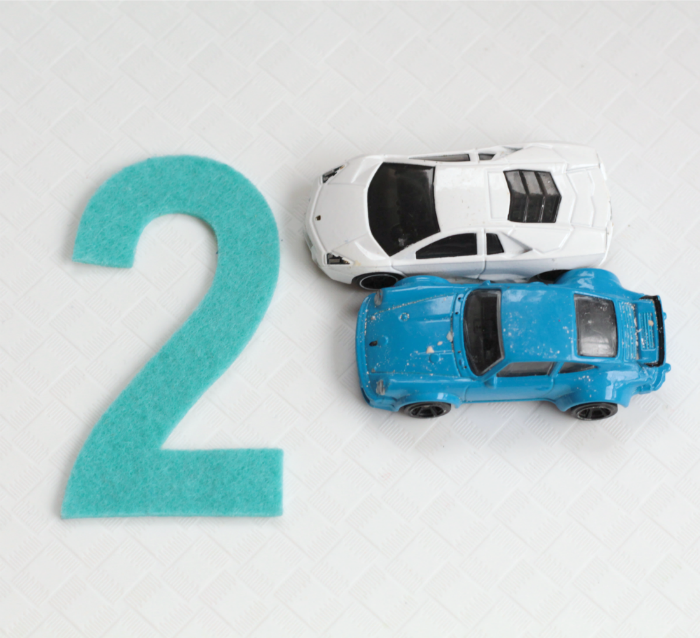 Then, I asked my preschooler to find two cars. In the same way, my preschooler drove two cars over to the felt number two. We went through all 10 numbers this way. Then, I asked my preschooler a few questions about the cars. I asked which collection had the most cars, which had the least cars, and whether two groups looks like they had more or less than the other. 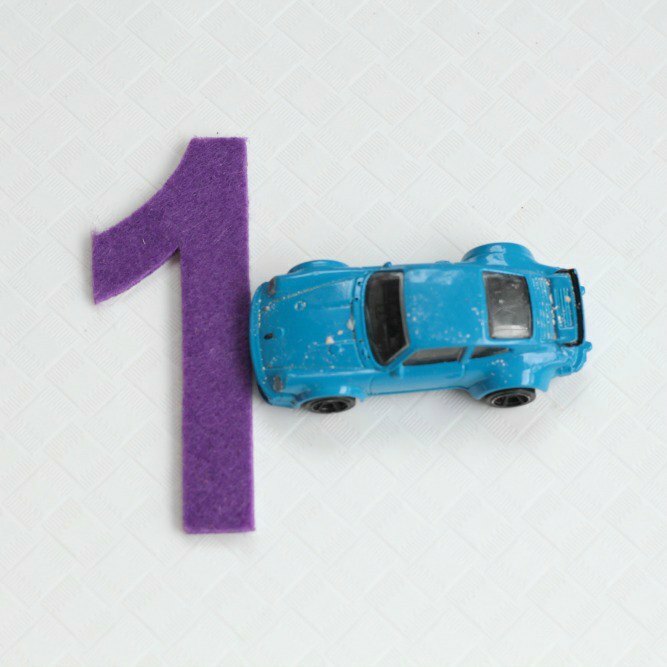 Combining the use of abstract digits with concrete groupings of cars helps kids to solidify their understanding of numbers and makes addition and subtraction easier down the road. Love this idea. We haven’t played with the cars much lately, so I think this would go over well with my 4 year old.